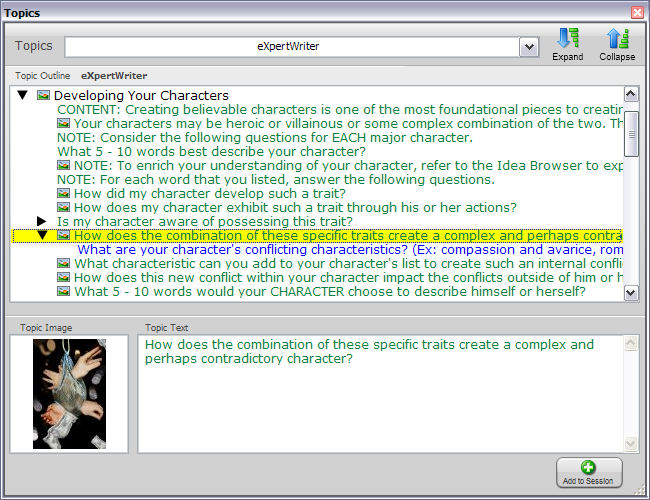 If you don’t know it by now, world-class writers use world-class tools. And ThoughtOffice is a must-have writing tool for those in need of inspiration, creativity and story-building resources. Creatives are looking to ThoughtOffice for help creating better, more lively word-play. 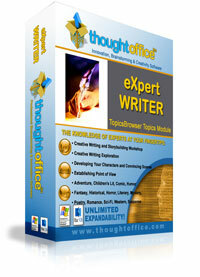 ThoughtOffice Expert Writer contains hundreds of questions and prompts created by successful writers of fiction and non-fiction, and distilled down for your use, 24/7. Imagine it. A proven collaborator who never tires, never sleeps, at your beck and call. That’s ThoughtOffice Expert Writer. Then add the associative power of the integrated idea search engine – IdeaBrowser – which allows you to search for word associations, definitions, synonyms, keyword-tagged images, rhymes, song lyrics – more than 10,985,690 “idea particles”, which you can include in your brainstorming session with a quick click of the mouse.